Take Your Baraat to the Next Level - Sonal J. Shah Event Consultants, LLC. 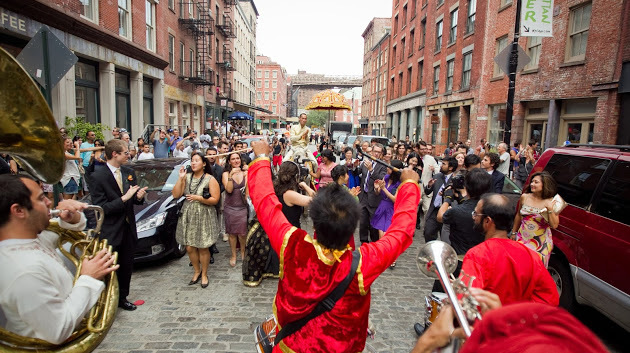 For an Indian Wedding, a great baraat will set the tone for what is to come during the day ahead. Getting the party started with a lively groom’s procession is key for a memorable event. When it comes to entertainment for the baraat there are many options, dhol players, sound van, or stationary sound, but why not take it to another level? Enter Jainsounds, a boutique artist-booking agency representing live bands. 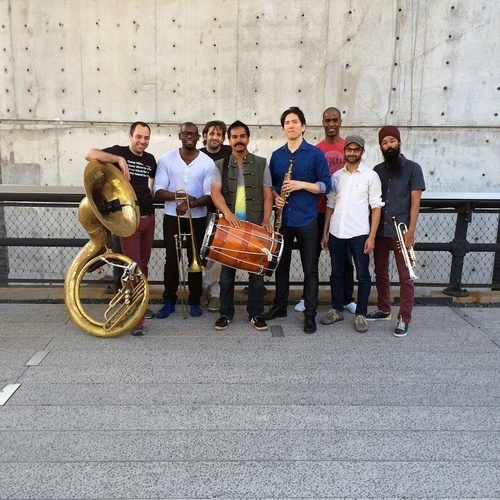 Their artist roster consists of some of the top names in the world and are home to the first Indian brass baraat band in North America. Led by founder and dhol drummer Sunny Jain, the band is comprised of dhol, drumset, percussion, sousaphone, and 4 horns and melds the infectious North Indian rhythms of the dhol with a host of genres and sounds, that can only simply be called, Brooklyn Bhangra. This is the 1st Indian brass band in North America. This baraat brass band brings the energy and excitement traditionally found at South Asian weddings. Live musicians play traditional baraat songs, classic Punjabi songs, as well as upbeat Bollywood numbers. The group is led by a dhol player and can include saxophones, trumpets, trombones and percussionists.